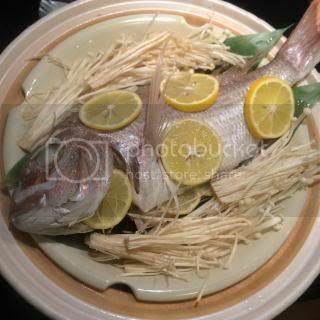 I got two beautiful whole sea bream (also called "tai snapper", but technically it's not snapper) from a neighbor fish market, so I made sashimi dish with one and decided to use the other for steaming. 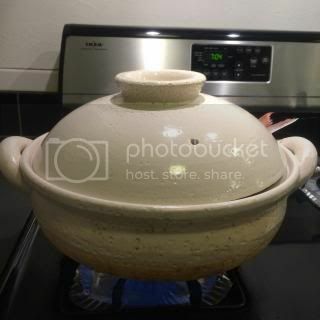 This dish is extremely easy to make, thanks to my donabe steamer, "Mushi Nabe", and I can cook and serve it right at the table. 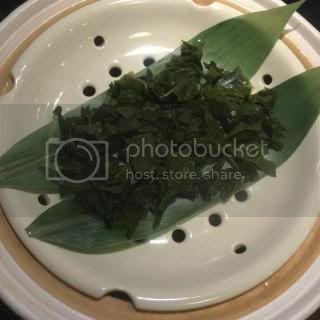 On the donabe steamer's grate, spread some wakame seaweed and place the seasoned fish (with some meyer lemon slices inside) on top. After steaming for about 7-8 minutes, I added the rest of the lemon slices and enoki mushrooms and steamed for additional 2-3 minutes. That's it, and it tasted amazing with a little drizzle of ponzu sauce! 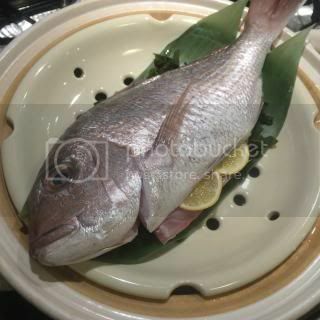 You can check out the full recipe of Donabe-steamed Whole Sea Bream on toiro kitchen's website. 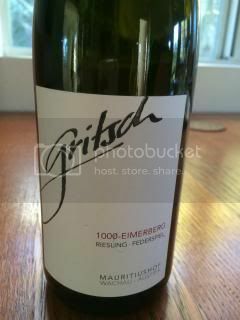 The fish made a wonderful pairing with 2012 Gritsch Mauritiushof, 1000-Eimerberg, Riesling - Federspiel. It's from Spitz, Wachau (of Austria), where I visited several years ago and also met Franz-Josef, the young winemaker.